John Fogerty joined Billy Joel at his March 21st show at New York’s Madison Square Garden to perform a pair of Creedence Clearwater Revival classics, and video from the show is streaming online. Rolling Stone reports Joel was eleven songs into his set when he stopped to briefly address the crowd. 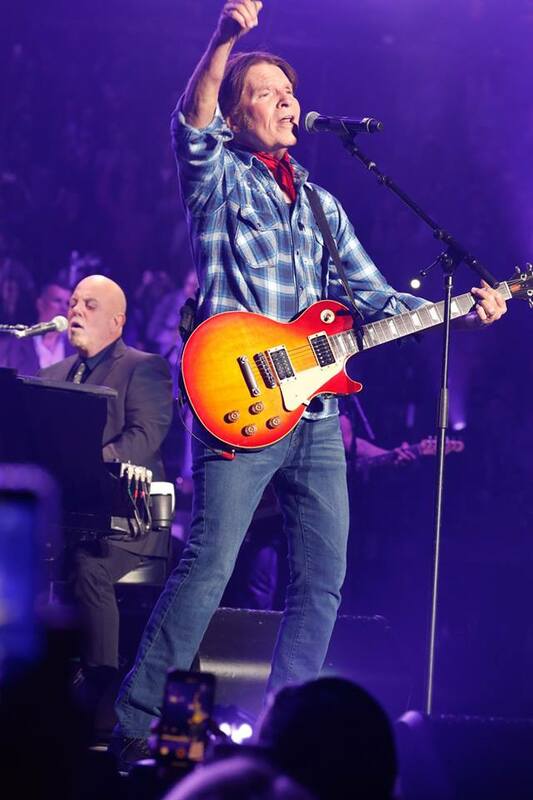 It’s the first time that Fogerty has guested with Joel at this Madison Square Garden residency, where he’s played with everyone from Miley Cyrus and Paul Simon to John Mayer, Steve Miller, Tony Bennett and AC/DC’s Brian Johnson. Joel turns 70 on May 9 and he’ll celebrate the occasion with a show at MSG. Fogerty, meanwhile, will resume his residency at Wynn in Las Vegas on April 10; he’ll also appear as one of the returning artists to play the Woodstock 50 Music and Arts Fair in Watkins Glen, NY this summer. “I don’t expect it to be the same,” said Fogerty during the event’s press conference. “The mood in the country is different, similar in many respects, but different. I’m very glad that I’m able to be here 50 years later celebrating it. I hope to have a great time.